Colorado’s premier mural event is coming up on September 18 and 19 in RiNo. Dubbed Crush for its intense and meaningful impact, the event was started six years ago by local RiNo artists, Robin Munro (Dread) and Jonathan Lamb, in an effort to unite the Denver artistic community. The goal was to generate international attention to the Denver mural scene by bringing together artists from all over the world to work with Denver artists during the third week of September each year. Over the years, the event has grown to cover more than 50,000 square feet of walls districtwide with colorful and distinct paintings created by some of Denver’s best. Locals and tourists come to RiNo to tour and photograph the murals, each of which have their own unique story. Centered on 27th and Larimer, Crush unites the community through creativity and empowerment in order to make positive change in areas that may be disregarded. 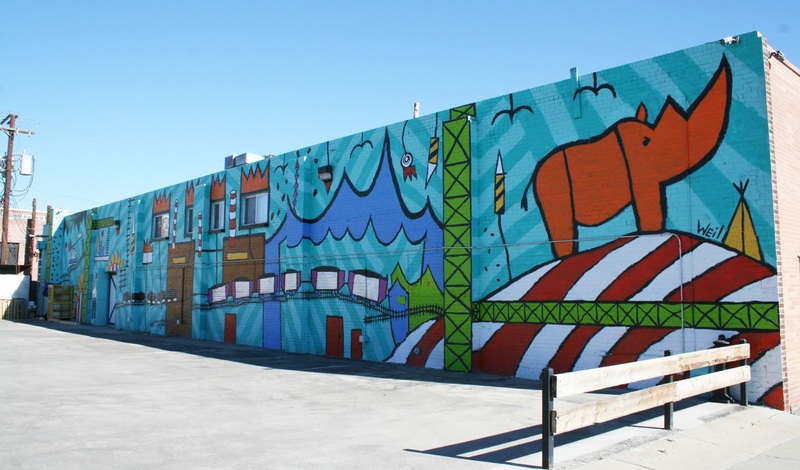 “As a district, we’ve found that murals not only help with our graffiti issues but tend to attract people from all walks of life to enjoy free access to world-class artwork,” says Tracy Weil, creative director for the RiNo Art District. This year, the RiNo Art District and Crush organizers will host a variety of pop-up events in conjunction with local businesses during the week to celebrate the murals in progress and provide opportunities for the public to engage with the artists. Youth and younger artists will have the opportunity to paint alongside the world’s best. The district also has expanded the event to include a larger footprint, including walls in RiNo East and RiNo West. We can’t wait to see what gorgeous murals the Denver community has to offer!